Len stood behind some foliage so she could change out of her black hunting dress. Folding it neatly and putting it into her brown bag. She slipped on her white dress, giving it a tug so it was unwrinkled. She licked her lips, giving a delighted purr. Cats, wonderful creatures, tasteful blood. She started walking on, looking at the scenery. There was many different trees but she was wanting a fairly large clearing. Len wanted a big mansion, maybe a orchard in and around it. Fountains too. Len hummed at the thought. That would be perfect. She gave a small smile and started walking faster to find the perfect clearing. Chaos drifted along, lounging on a really comfy cloud, and what would his eyes happen to spy? Why, it was little ole' Len. The god rolled over on his stomach, legs waving in the air. What was the vampire doing now? Chaos put his head in his hands, watching her from up high. The god concentrated...the girl wanted a place to call her own? Wellll...that was an easy one. All the girl had to do was ask all nice and sweet like. Chaos was nothing but giving, was he not? He poofed down off the cloud and onto the ground, coming back into existence behind the vampire. Wrapping an orange clad arm around her shoulders, the chaotic god leaned his head next to hers. "Now how is my sweet citizen doing this fine afternoon?" the god would have added a cheeky smile to that, but why try. No one could see his face anyhow. Len jumped and put a hand to her unbeating heart. It took her a moment to gather her bearings and understand that it was Chaos and not Loki. Good. She was tired of dealing with the god of mischeif. "If it wasn't you, dear Chaos, I would have ripped your arm off." She hissed softly. She pulled away from Chaos, sighing. She bowed to him then smiled slightly at the god. "I am fine this afternoon. Just wondering around looking for a special spot to call my own. Len said. Certainly there must be a spot somewhere in the forest that had a fairly large clearing. A clearing that would be perfect for a mansion of her own. Len hummed at the thought. It would be perfect. Even her brothers would be envious of it. It would be fancy and lovely and Len held back a smirk. Their Romanian father would even be envious. The chaotic god tilted his head, the orange dot on his helmet flashing, "If I were anyone else, my dear Len, I would've taken that as a threat," his voice dropped down a few octaves in warning. But the god did not dwell on it too long before his tone brightened again, "A place of your own? Why did you not say so?" He skipped away from the vampire, branches and such swaying away from his person in reverence. The god swept back a few trees, reveling a pretty little clearing the size of a large village. He rolled up his suit sleeves and wiggled his fingers in delight. "Shall we begin, my dear?" oh, how the god yearned to create again. But this time, with outside direction. He would build the mightiest of castles for his citizens. And all they would have to do is ask. Len's head dropped at the sudden change in Chaos voice. I shouldn't have worded it like that.... It did sound like a threat..... She thought. "Sorry Chaos, I did not mean for that to sound like a threat." Len apologized, keeping her head down. She kept her head down for a moment longer before lifting it up to look Chaos. He was already walking on ahead of her, his bright aura back. So, she followed him a little slower. She blinked though seeing a large clearing that he cleared. "Let's," She answered before putting on her thinking face. "The mansion could be at least, hmm, 8,000 square feet maybe? With six stories. What do you think my lord?" Len asked, looking at Chaos. "Easy as pie...I do like pie...all nice and yummy and warm..." the god prattled on while setting the base work down. Chaos left room for a basement and began working up. Soon enough a plain brick building stood majestically in the clearing, waiting for those finishing touches to make it a home. The god turned to the vampire, the orange 'eye' on his mask lighting up in joy, "What do you think, my dear? The finishing touches? Windows, doors, furniture?" He waited patiently, arms still raised, orange energy dripping off his fingers like liquid gold. The god was just bursting with the energy, his aura crackling around his body. "My lord? Never been called that before. Great Destroyer, perhaps. Or the Horned God...but never that. I like it." Len's jaw dropped at the speed that he formed the house. It was already magnificent. She blinked a couple of times before snapping her jaw closed. "Let's have the door a little bigger and pulled out slightly from the main building. A big window on either side of it, perhaps. And maybe, add some smaller windows along the 3 story." She said, staring at the house as she tried to think where she wanted to place things. "We can finish the outside layout before we begin the inside." Len tore her eyes from her new home and looked Chaos, giving him a small smile. He was good god, he deserved to be called her lord. Though she has never had one. Not even in Russia. Well, they don't call it 'Godless Russia' for nothing. Christians have tried to kill her before in Romania and in the New World. But then witches came into the matter back then. Vampires later. Then Werewolves. Then all three. It took a couple of decades before people finally decided that they were nothing but myths. Chaos wiggled his fingers and the door simultaneously grew bigger and popped outwards from the building. A pair of beautiful windows sparkled into existence, sandwiching the door between their glass. The god swept his arm and windows along the third floor popped into existence following his arm. The god of chaos was nearly giddy from the energies he was using. Creation was a great feeling. Much better than destruction. "Oh, this is so exciting. What is next?" Chaos wriggled around the newly formed house, running a critical 'eye' over the structure. "Every other window on the other stories should be about medium height..... Then some red roses in the front, some of the trees can come inward towards the house. Then a grand porch with columns." Len said, her hands waving around slightly. Her face was starting to brighten with her own joy that Chaos was having fun. Len had a small feeling that maybe she was taking advantage of the god, but he seemed to be overjoyed with creating. She wasn't going to let herself spoil his mood. 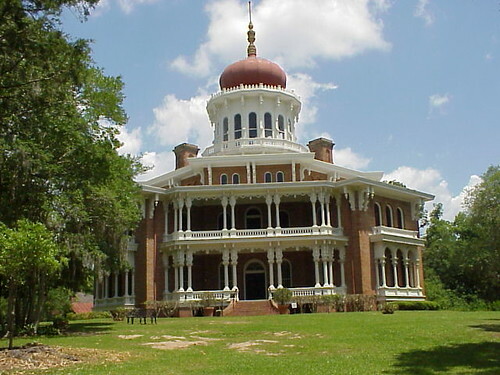 "Large live oak trees in the back, with orange bearing trees to form a orchard." She smiled and looked at Chaos. "My lord, have you ever seen victorian styled furniture?" Asked the vampire. Chaos enlarged some of the windows and made others smaller, then went to peppering the front garden beds with bushes of blooming roses. The god leveled out a wide lane framed by the orange trees, also dotting a few lemon and apple trees for variety. Next he brought the porch out a smidge, raising up massive pillars and adding a balcony with more pillars. The god dotted more and more pillars, him being in a pillar-y sort of mood, now. The god pondered the vampire's question thoroughly before answering, "I don't believe I have. Never been the kind to look into furniture. He cocked his head, adding more additions to the grounds or deleting something that didn't really match what he wanted. She flipped her hair before taking starting for the house. 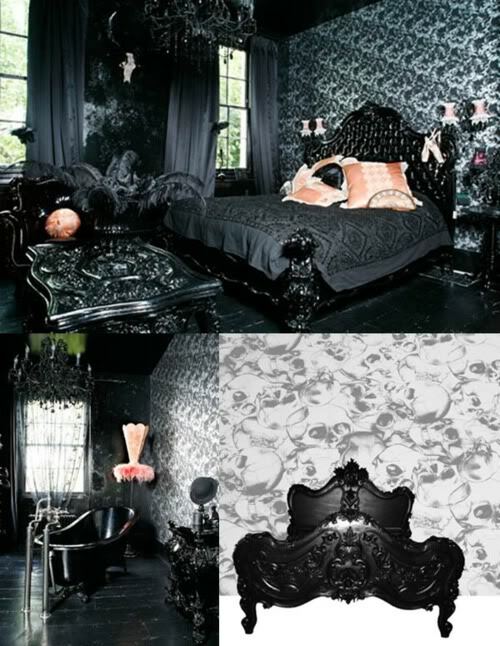 "Victorians had a very lovely furniture that my mother, the vampire one, loved. She got me to start loving it also. She liked her furniture bright and happy, I preferred mine dark." Len explained before sighing. She missed her mother. She was probably cleaning the furniture. Or perhaps getting new furniture for the home. Len sighed again and looked back at Chaos. Chaos wrapped his arms around the vampire maiden and willed all the items she requested into existence. The place was magnificent, if he did say so himself. "No, my dear. It should be I who should be thanking you. This was all too much fun," he wiggled his fingers, forming a street to connect to the tree lined lane, and a gate sprung up to protect Len's privacy. All the Victorian furniture that the vampire wanted lay arranged inside the newly built mansion, all covered in pale white dust covers. It all awaited her touch, her affection, her presence. "Now, what should we name this little street. I do need an address to give my dear Daybreak to put in the files," he turned his head, awaiting her response. Len blinked her feet stopping mid-step. Her cold body felt warm next to the god's. She really did underestimate his love for creating. She smiled up at him. "I am glad that you enjoyed yourself my lord." She looked at the gate that surrounded her new home. Wow, this god was amazing. Len blinked and looked at the god then the road. Pausing Len thought for a second. "Chirila, Chirila Drive. That was my last name before I moved to the New World...." She whispered, drifting slightly into a flashback from way when. It was back in the early 1800s when Rye, Devon, and Len Chirila entered the New World, that was called America. The young vampires lived the northern Massachusetts. They had a small house, which was to them a even smaller empire. The American Civil War broke out and Devon and Rye jumped into the action. Len, of course went with the soldiers. She made sure that the boys kept their killing down. It didn't take long for the war to end. By then, they decided that they wanted to go west. They also wanted a bigger supply of blood. A bigger home. A bigger territory. They also needed to get away from all the vampire killers. Evil bastards. Len and Rye had mapped out a route westward. Soon, the vampires were on their way to the west. When they arrived at the most northern territory they could find in the American's borders, they started to set up their empire. Simplest thing they've ever done. Chaos waved his hands, a sign post appearing down the lane with the new name written upon is orange surface. He waved his hands again, two wine glasses appearing in one hand and a bottle of vintage wine appearing in the other. He popped the cork, the foam spilling to the ground, and poured it out into the glasses. The god handed one to the vampire, "I declare a toast. To new beginnings!" The god of chaos surveyed his handy-work, a feeling of satisfaction and warmth (which could actually be the wine) spreading through his body. He should do this more often, the god swore. "Do enjoy your new home. Now, I must go. There might be others out there in need of a home." He shook Len's hand before poofing back to his fortress in the sky. Len raised her glass up after the god disappeared. "Have fun my lord!" She called up to the sky before tossing back the alcoholic drink. She swallowed the drink and entered her new home. The first thing she did she was sit the cup on the mantle of a the fireplace. "To Choas!" Len cheered before disappearing into the home to explore.